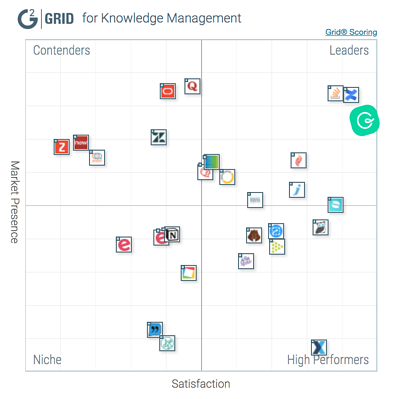 We are excited to share that Guru has been ranked #1 in customer satisfaction across all knowledge management software solutions on G2 Crowd. Thank you to all of our customers who submitted reviews; we value your thoughts and feedback! "Guru is the best knowledge base for a growing company. 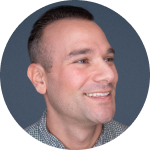 We're seeing higher adoption from Guru than we ever did with another tool." – Dane B. The knowledge management (KM) category represents solutions that streamline the process of capturing, distributing, and effectively using knowledge. Knowledge takes many forms, including but not limited to text documents, images, audio and video files, and other data types. At Guru, we believe the knowledge you need to do your job – whatever shape it may take – should find you when you need it. G2 Crowd ranks products by customer satisfaction via user reviews and by market presence in the form of market share, vendor size, and social impact. Solutions are then sorted into four quadrants, as seen below. Guru has the honor of being named one of the highest-performing solutions in the Leaders quadrant. 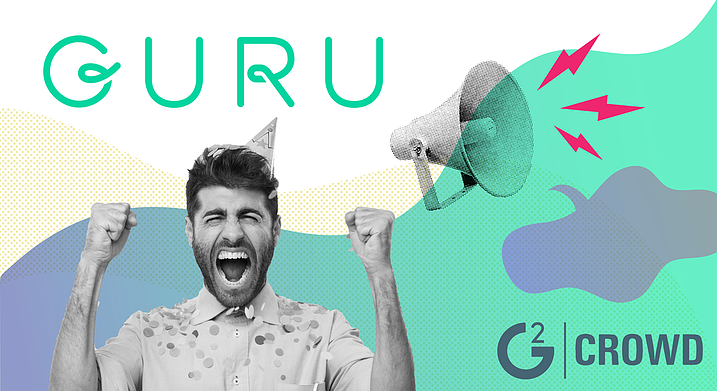 User Lauren U. said it best: “Buying Guru was the best decision I have ever made. We finally took the knowledge my staff was storing in their brains and put it into a database that can be accessed by their extended teams." We are thrilled to receive such positive feedback, and are equally thrilled to receive constructive feedback. We are actively working on improving our import, trackable analytics, and file viewing features, some of which were addressed in our winter launch, and some of which are upcoming in our spring launch. We remain committed to our mission of providing the best possible knowledge experience across organizations. "Before Guru, we had 5 different platforms on which we stored information for our support team. Now, all our knowledge is centralized, our team is engaged, and we are confident that the information we are accessing is up-to-date." – Natalie M.
Download the full report from G2 Crowd to learn more about Guru and the knowledge management landscape.